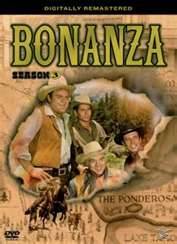 Warner Music is being sued over the theme song from TV's Bonanza. According to a new lawsuit from a legendary songwriter, the music publishing giant won't substantiate withheld royalties and refuses to allow an audit. Jay Livingston and Ray Evans were the songwriting duo behind songs like "Whatever Will Be, Will Be (Que Sera, Sera)," "Mona Lisa" and "Silver Bells" that sold over 400 million copies. The two also created theme songs for popular TV shows like Bonanza and Mr. Ed. In 2003, Jay Livingston Music granted Warner Music the right to administer the international publishing rights to its catalog of musical compositions. A decade later, the parties are now in court. According to the complaint filed on Tuesday in Los Angeles Superior Court, the 2003 subpublishing contract entitled Warners to take a 10 percent commission on net income with the rest going to JLM. The agreement is also said to have required semi-annual statements and allowed an audit. JLM says that in February 2012, it was notified of an accounting error whereby one or more of Warners' European affiliates had overpaid royalties in the amount of about $137,000. After the report came, funds were withheld from JLM, which demanded back-up documents to verify the overpayments. "Defendants initially agreed to produce supporting documentation and to allow Plaintiff to conduct the requested audit," says the lawsuit. "However, when Plaintiff's attorney repeatedly attempted to confirm an actual date for the audit, Defendant was completely unresponsive." JLM, represented by Brian Wolf at Lavely & Singer, is now suing for breach of contract, breach of the covenant of good faith and fair dealing, negligence, accounting and more. As a result of the unilateral deduction, the plaintiff is now demanding a "full, complete and accurate accounting" as well as at least $150,000. Warner Music didn't immediately respond to a request for comment.